Do you love cooking and everything related to the culinary arts? Then perhaps you would like to share your knowledge with others using a blog. Blogging can be a lot of fun and can also provide you with some additional income if you spend the time creating a marketable blog. In this easy guide I will explain you how to start a blog. If you are interested in setting up a food blog, then trust me when I say that using WordPress is your best option. WordPress is user-friendly and makes it incredibly easy to get started with your own food blog. Despite the ease of use, if you are like me, you will want a little bit of advice on getting started for the first time with WordPress. I’ve compiled some tips to help you out, so that you can quickly get your own food blog up and running. Before you can jump into the creation of your own food blog using WordPress, you are going to need a place to host your website. While there are plenty of free options, including the free blogs offered by WordPress.com, these blogging platforms will not give you the level of customization that you need to build a quality food blog. So your first task is to find a suitable web hosting company for your food blog. I have shopped around and compared different web hosting companies to figure out which one offers the best value and the results are mixed. The competition between these companies is huge, so you should have no problem finding a good deal. – Reliable servers with no downtime. For specific information regarding the top web hosting companies, take a look at my article Best Blog Hosting Provider Comparison where I breakdown the benefits of each company. After finding the right web hosting company for your food blog, you will need to come up with a name for your blog. Pick a name that is simple, easy for visitors to remember, and reflects the overall concept of your food blog. I have found that choosing a domain name is no easy task and that you should take your time. I suggest creating a list of 5 to 10 possible names and running them by your friends or family to get their opinion. The beautiful thing about using WordPress is that you do not have to have any experience building websites or working with a blogging platform. Absolutely anyone can setup WordPress and start customizing their blog. To make things even easier, many web hosting companies have included automated WordPress installation. Even if the web hosting company does not offer automated installation, uploading the core WordPress files and going through the setup process is fairly simple and straight forward. Visit the control panel of your web hosting company and check if they have automated installation. Whether you upload the files yourself or you are lucky enough to have automated WordPress installation, follow the onscreen instructions during setup. You will end up entering the name of your food blog, a short description, and choose a password. Once installation is complete, you can sign into the WordPress dashboard and get to work on customizing your blog and making it your own. I find that it helps to look at other food blogs before you get too far. See what they are doing and what sort of style they are attempting to achieve with their blog. I’m not saying that you should copy their look, but understanding your competition is part of any business plan. You are going to want your food blog to be original and user-friendly. This means keeping your choice of colors to a minimum and possibly coming up with an original logo or header. The basis of your site is your theme. WordPress gives us two options, when it comes to themes. You can choose a free theme or a premium theme. There are thousands of each to choose from; though, premium themes offer more advantages and are a safer choice. Take your time looking at the various themes. I should also mention that the theme you choose should be responsive. This means that the theme will adjust the layout of your blog based on the size of the screen your visitor has. This ensures your site will look fabulous on any device, including smart phones. For help selecting a theme, check out Top Five WordPress Themes, with helpful tips on finding the right theme for your blog. Once you pick a theme, your next step is to customize it. Head over to the Appearance section in your WordPress dashboard and browse through the theme settings that you can change. Most themes will let you change colors, backgrounds, headers, and the overall layout. Create a stylish food blog by customizing your theme. There are a lot of different steps involved in creating an awesome looking blog. I have taken some of my best suggestions for customizing a blog and compiled them into Customizing Your WordPress Theme. After you are done customizing your food blog, it is time to start writing about your love of food. Populate your food blog with recipes, articles, and other helpful information. Check out some of my other articles on how to start a blog for additional tips and tactics. I hope that you have as much fun setting up your own food blog as I did. Good luck and enjoy setting up your site. This site is great ! Thank you for this information! I just had a question. How did you get the cartoon girl to get on your page. Where did you get it from ? Among the many posts you have published, I love this article, it’s very helpful to me. I’ve shared your awesome post to my friends. Ciertos son bien simples y otros están pensados para 3 contactos (y con longitud de hasta cinco metros). I really like cooking. I’ve collected a lot of recipes from when I was a 15 year old. now I also want to create a blog to share those recipes for everyone. thank you. a useful article. I’ve collected a lot of recipes because i love cook. And I also want to create a blog to share those recipes for everyone. thank you. a useful article. Excellent information! Which blogs to do find to be the best to read, daily or weekly? I am wondering if I should go all out and try to do something everyday but am afraid if I miss a day it will hurt any followings I might get? Suggestions? 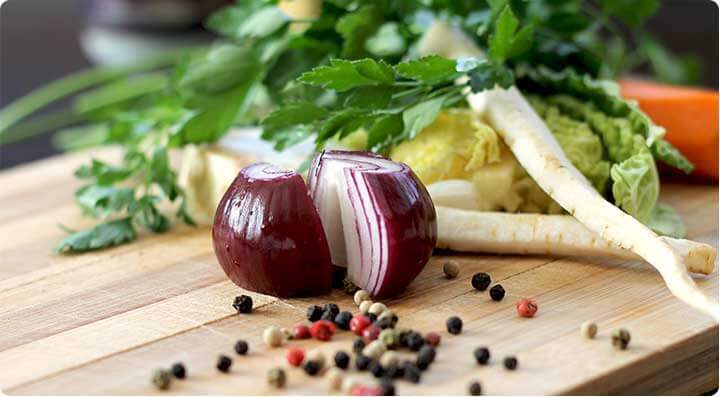 I wanted to know if it was possible for me to use the picture with the onion and peppercorns for my blog I don’t want to just take it if it’s copyrighted or anything. Great article, thanks for the tips! I am helping my wife start her own vegan food blog and your tips are really useful. Working for her, I’ve also made an in-depth review article of the 10 best WordPress themes for food blogs and recipes websites.